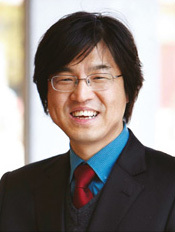 유희천 | Heecheon You, Ph.D.
- Human Factors and Ergonomics Society, 1994 ~ present. - The Ergonomics Society of Korea, 2002 ~ present. - The Korean Institute of Industrial Engineers, 2002 ~ present. - The Korean Certificated Professional Ergonomist Association, 2006 ~ present. - Korean Society of Life Cycle Assessment, 2013 ~ present.